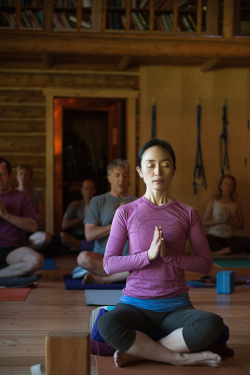 For more than 40 years, the Feathered Pipe Foundation has offered self-empowerment, health and wellbeing programs through Feathered Pipe retreats and travel experiences featuring the leading lights in yoga therapy, mindfulness and personal growth in optimal settings that inspire learning and the creative exchange of ideas. We invite you to join us on this journey of personal evolution with the ultimate purpose of manifesting the change we wish to witness in ourselves and throughout the world. Whether it’s within the pristine, natural, retreat setting of the Feathered Pipe Ranch, located high in the northern Rocky Mountains just outside of Helena, Montana, or via one of our yoga travel experiences throughout India, South America, Southeast Asia and Europe, you are certain to find opportunity and opening to explore your inner calling and restore your sense of peace, health and wellbeing. Reconnect to yourself, discover and explore the world. In the winter and we offer yoga workshops and yoga travel experiences in Mexico, South America and Asia. 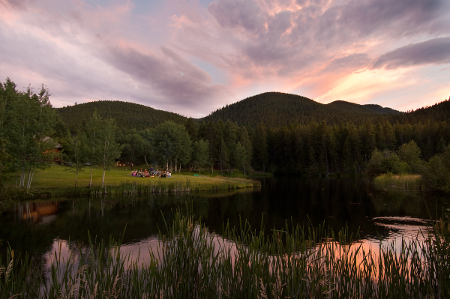 From late spring through early fall, we offer holistic healing and restorative yoga programs at the Feathered Pipe Ranch in Montana. Sign up for the Feathered Pipe newsletter to stay up-to-date on all upcoming Feathered Pipe yoga retreat and travel programs, including our yoga therapy and mindfulness offerings. Nurture yourself, cherish and recharge your life. Summer in the Montana Rockies is just lovely by itself. 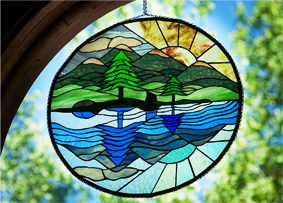 The Feathered Pipe Ranch hosts master teachers in our peaceful mountain sanctuary. Add to the mix lovingly prepared organic foods, our pure mountain spring water, and the joy that comes from being surrounded by fun, open-hearted people and you have all the ingredients for a sublime experience for heart, mind, and body. Every summer season has its own magic, and we’d love to have you join us for a taste of it this year! Heal yourself, honor and help the planet. When you give the gift to yourself of attending Feathered Pipe yoga retreat or travel experience, you support the vital humanitarian seva yoga which is the heart of our mission.